Wouldn't this quilt make a wonderful gift for a new baby or other special occasion? Squint your eyes and you can see the pinwheels and imagine them whirling in the warm summer breeze. 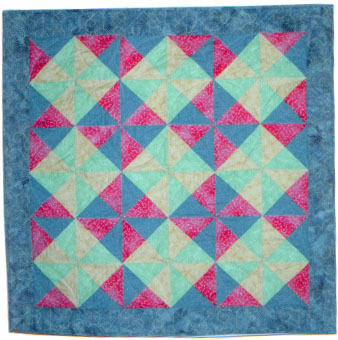 Make this quilt using bright fabrics or more subdued colors depending on the season.